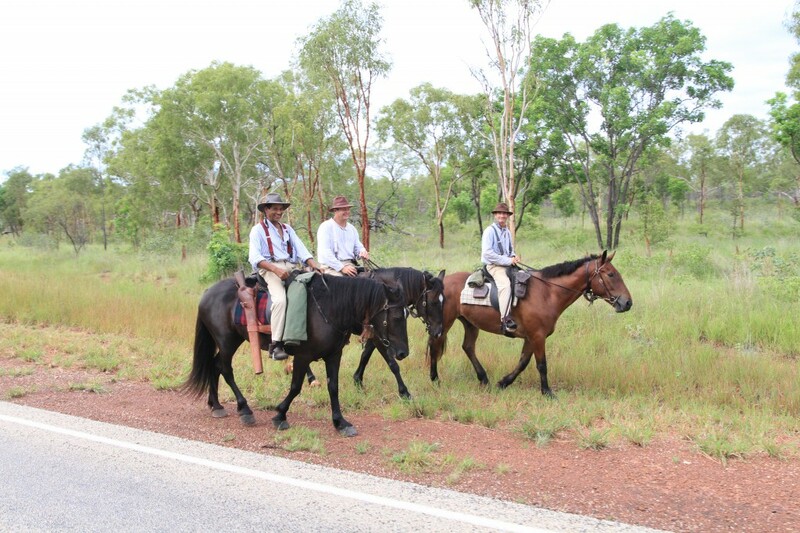 Charlie Cloos, Richard Borella and Tim George (left to right) on their way to Daly Waters. Photo by Luke Paterson. 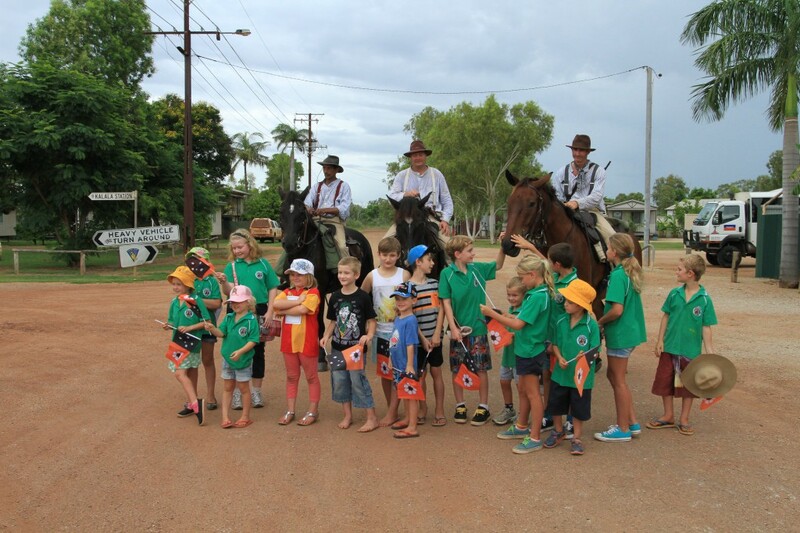 The Borella Ride arrives in Daly Waters and is met by students from Katherine School of the Air. Photo by Luke Paterson. Charlie Cloos, Richard Borella and Tim George with students from Katherine School of the Air. Photo by Luke Paterson. 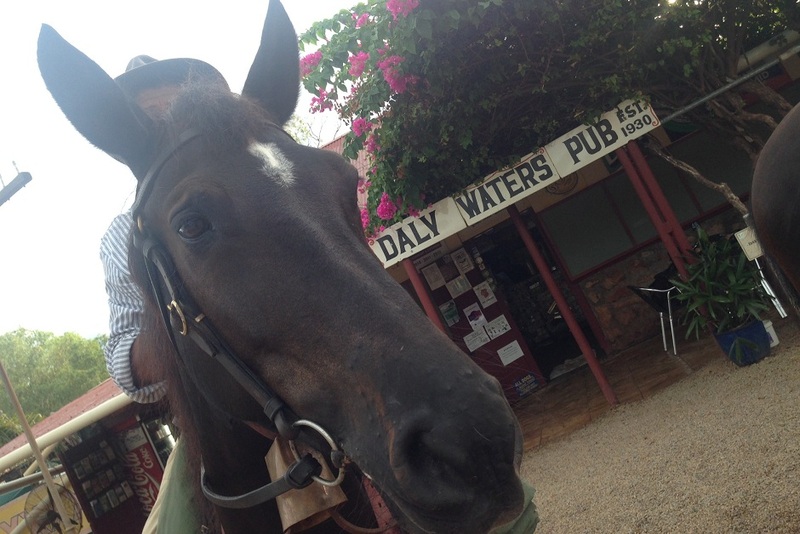 In the small outpost of Daly Waters The Borella Ride had one of its most rewarding encounters – with a small class of children from the world’s biggest school campus: the Katherine School of the Air. The School of the Air educates children from the Tiwi Islands in the north, to the Barkly Tablelands district in the south, east to the Queensland border and west to the Western Australia border. The school caters for isolated primary and middle school students. The term “School of the Air" refers to the old style delivery of lessons via HF Radio. Today the school delivers lessons via satellite, internet and telecommunications technologies. Paper based materials are still provided to students to complement their interactive learning. 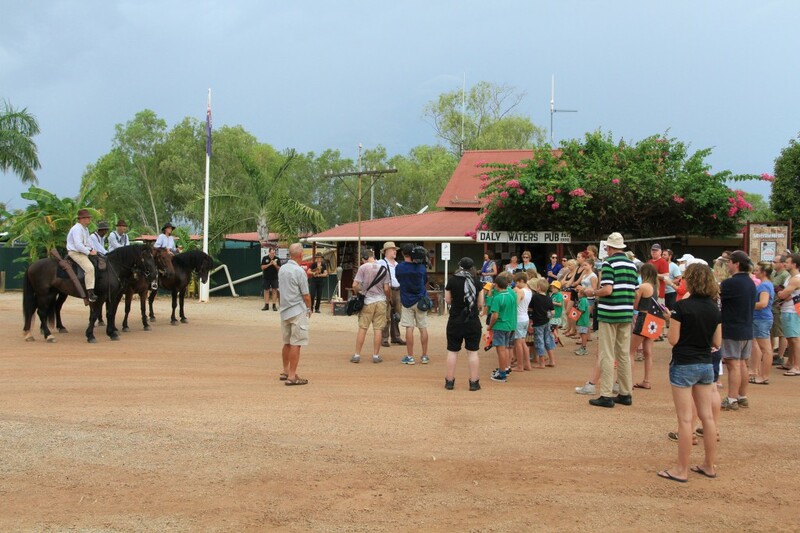 In Daly Waters the team was met by a class of students who had travelled hundreds of kilometres to watch history come to life through The Borella Ride and the Travelling Display. Lead Historian for The Borella Ride, Dr Tom Lewis spent some time talking with the students about the items in the Display and with Luke Nolan, who dressed as a Light Horseman, showed students some cavalry techniques from World War I. 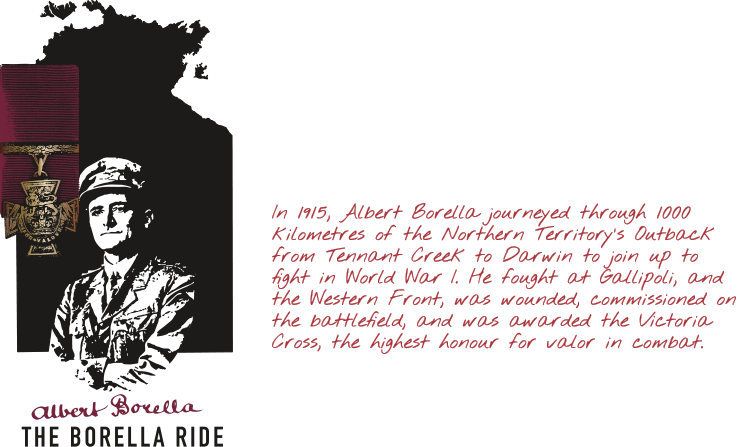 The Borella Ride team was impressed with the enthusiasm of the students and how much they already knew about Albert Borella VC.